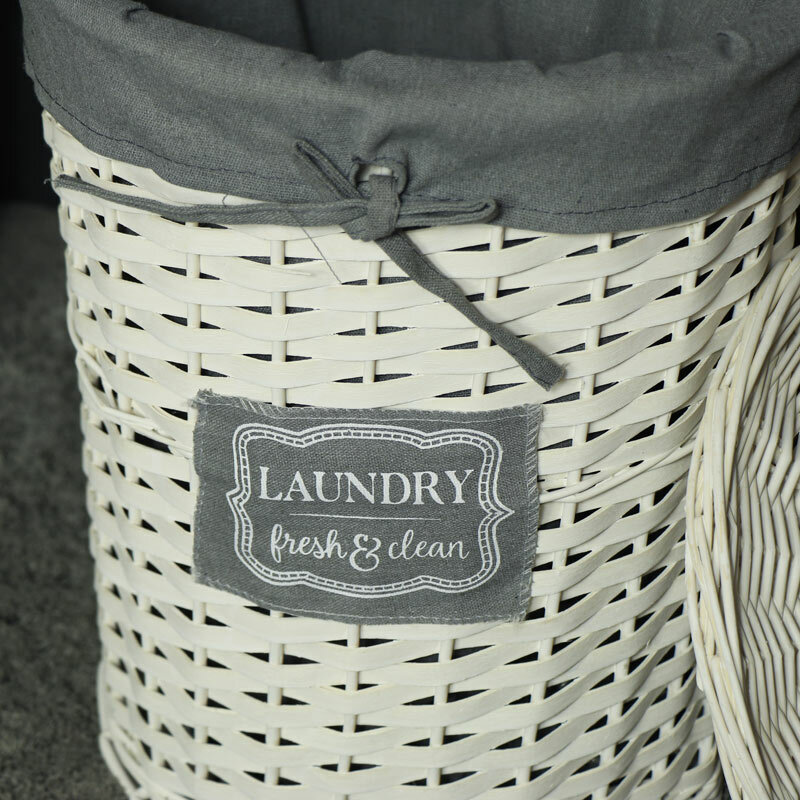 Pretty little laundry basket in shabby chic style. White willow wicker design with lid and grey linen liner. Perfect size for a child's bedroom. Round basket in a small size, ideal for smaller rooms. Great for keeping laundry neatly stored away and just what you need for a girl or boy's bedroom. Two larger sizes available. Practical storage solution, complete with washable liner and lid. 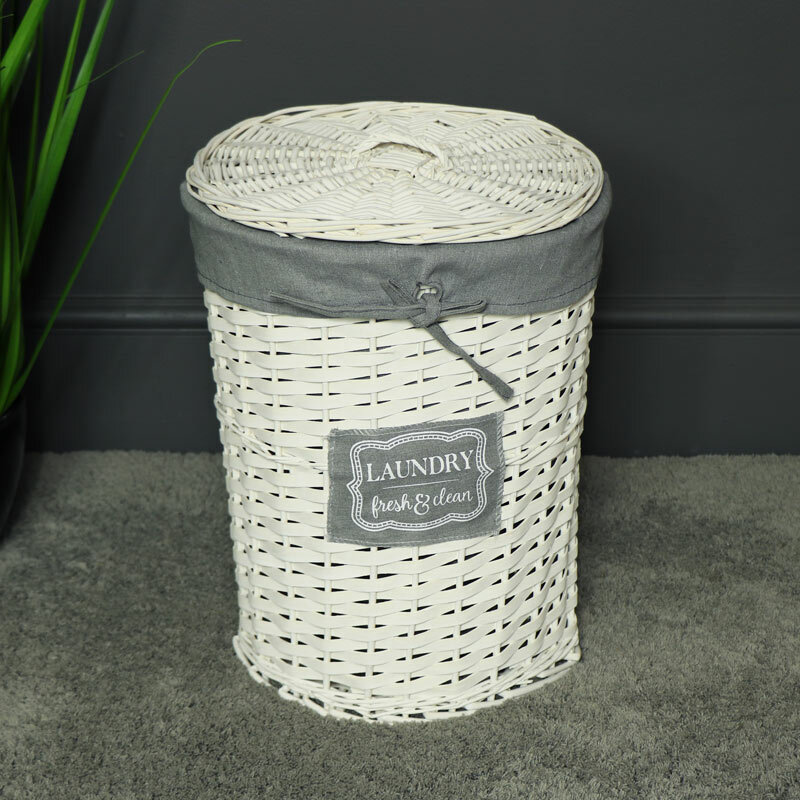 Pretty little laundry basket in shabby chic style. White willow wicker design with lid and grey linen liner. Perfect size for a child's bedroom. Round basket in a small size, ideal for smaller rooms. Great for keeping laundry neatly stored away and just what you need for a girl or boy's bedroom. Two larger sizes available. Practical storage solution, complete with washable liner and lid. Made from willow wicker in a rustic white finish. Grey washable linen liner. We have a fantastic selection of gifts and home accessories with something to suit every occasion.